Farmed Animals Are More Intelligent Than We Thought – But Is This Missing The Point? The phrase ‘birdbrained’ is taking on a different meaning, as new research shows that many species of birds are far more intelligent than previously thought. Science seems to be finally catching up with the fact that other animals are always more complex than they have been given credit for. Hopefully we are now losing old-fashioned assumptions about the inferiority of other species – assumptions which surely show us more about human intelligence than that of other animals. This conversation throws up several issues. Intelligence is incredibly hard to define, so how can we classify it? There is no one-size-fits-all cross-species IQ test. Sure, there are many things humans can do which other species can’t – but this goes both ways. It’s clear that ‘intelligence’ is a term too narrow to accurately describe the many skills and abilities of other animals. It has been suggested that based on these findings, we should now be more considerate of the wellbeing of birds, specifically chickens. 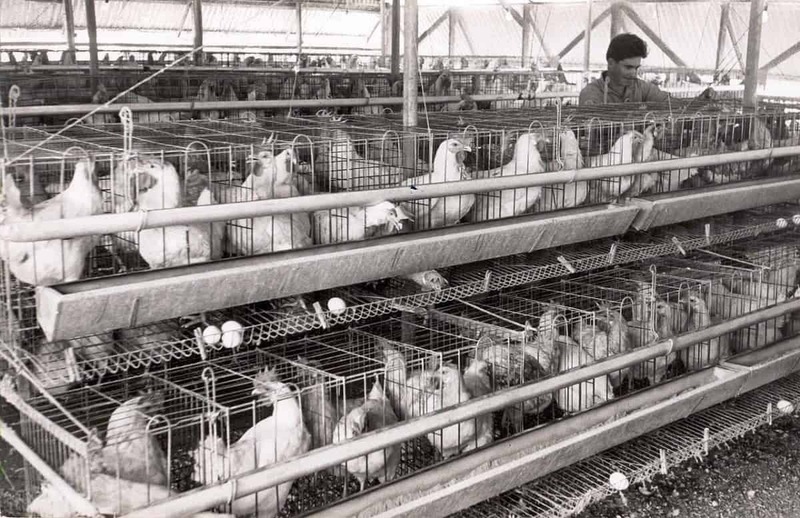 The most farmed animals in the world, the vast majority of chickens live short, uncomfortable, unpleasant lives. Perhaps wider awareness of the intelligence of farmed animals will lead to more people turning away from animal products. Learning more about how other animals think helps us to connect with them and empathise with them. This new research could have a positive effect, and besides, we should celebrate the fact that the scientific community and the public have an interest in animal intelligence. However, this is missing a bigger point. It seems that we are now reclassing the wellbeing of different species as ‘more important’ or ‘less important’ based on traits and characteristics which we think of as intelligent – how close to ‘human’ we consider them to be. Based on this approach, being human-like is the most desirable, important trait a species can have, and the further away an animal gets from it, the less important we consider their life to be. Deciding to treat ‘intelligent’ animals better implies that conversely, species we deem unintelligent can be exploited freely. We all know that it would be wrong to treat another human as inferior based on their IQ level, and even worse to use another person’s vulnerability as an opportunity to exploit them. Instead, we pride ourselves on our compassion towards other people. We now need to apply the same kindness and respect to other animals. We need to value the lives of all animals – regardless of what scientists have proved about their intelligence. We should not value an animal more based on whether it can solve a puzzle or use tools. When it comes to the way we use other animals, their capacity to suffer is far more important than their intelligence. There is no doubt that other animals can feel pain, distress and discomfort. We should therefore use our intelligence not to exploit them, but instead to protect and care for them. There are sure to be more studies in the future which highlight the intelligence of the animals routinely exploited by humans. But this isn’t the way forward, not least because there are numerous ethical issues related to subjecting these animals to lab experiments. Let’s begin to treat other animals with respect and compassion, based on the fact that they deserve no less, regardless of what we learn about them in the future. Try going vegan this World Vegan Month. Sign up to The Vegan Society’s 30 Day Vegan Pledge for free recipes, tips and advice. Next PostCan we move forward without the hate, violence & ignorance from Presidential & Brexit campaigns?